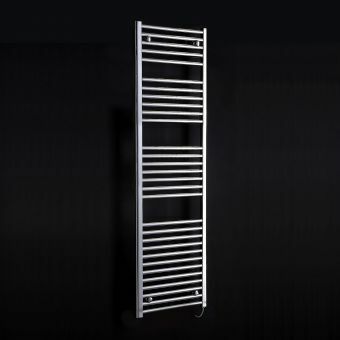 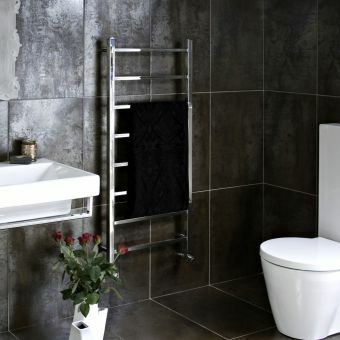 At 700mm tall, the JIS Sussex Camber Heated Towel Rail is a compact but effective towel rail, capable of quickly heating and/or drying towels as well as acting as a conventional radiator. 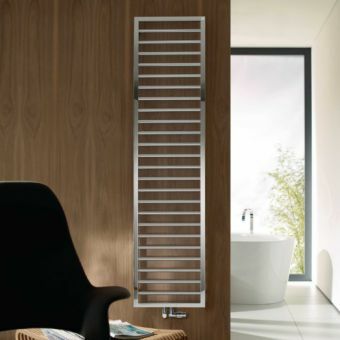 Finished in a high quality polished stainless steel and bearing a subtle curve to its form, this is a bold and impressively designed piece, fit for the contemporary bathroom space. 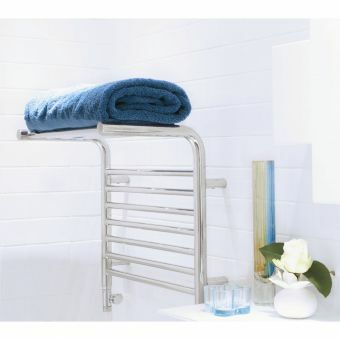 Its smaller form makes it ideal for inclusion in the smaller bathroom space or en-suite where space may be limited. 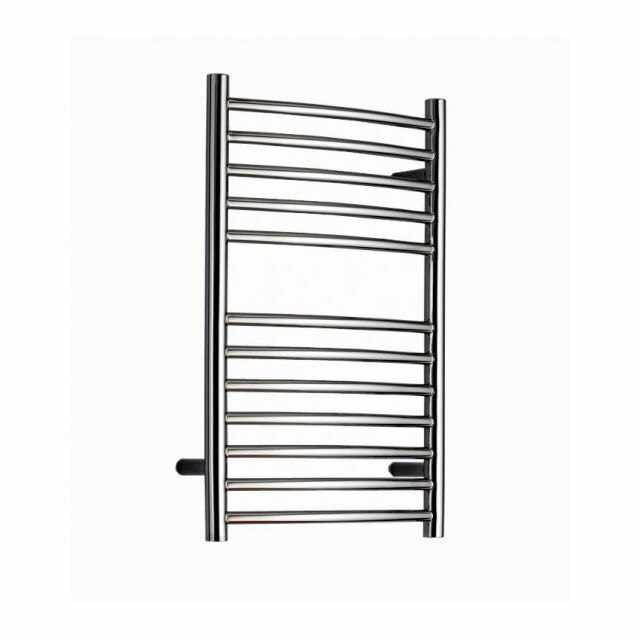 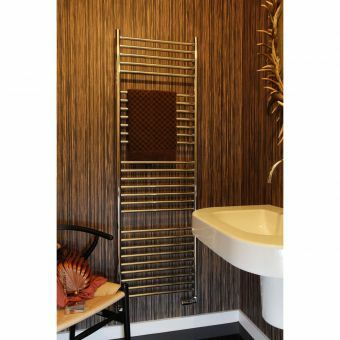 This towel rail is suitable for use with central heating systems as well as compatible dual-fuel kits. 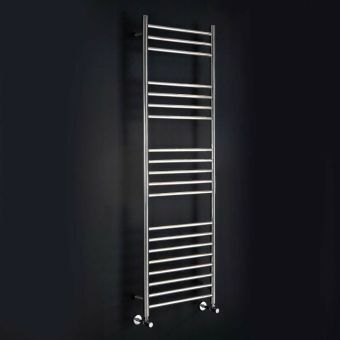 Please contact us for further information about dual fuel options.